Don’t make the mistake of dismissing leaking pipes as nothing more than an inconvenience. Failing to address the issue could lead to mold growing within the walls holding the pipe. It can be extremely costly to replace sections damaged by mold once it takes hold. Leaking pipes could also cause wet spots to occur within various segments of your walls which would also need repair. 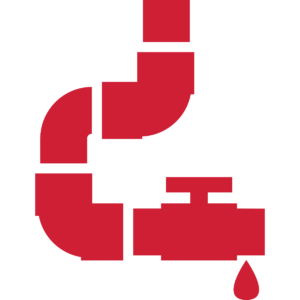 Clinton Maintenance & Plumbing inspects leaking pipes thoroughly and repairs the source of the leak. We work hard to prevent damage to essential structures throughout your home or business. Our technicians provide services throughout the Katy / Cinco Ranch, Sugar Land, and Bunker Hill / Energy Corridorregions. The walls of your home aren’t the only problem you could face if leaking pipes are left unattended. Water runs downhill, so water from leaking pipes could end up pooling in your lower floors or basement. Check to see if you have loose tiles in your bathroom or see warped floorboards around your home or business. Those are signs of possible water damage caused by leaking pipes, which you should have checked out by a professional. Unchecked leaks could also damage the fixtures around your bathroom or kitchen sink. You don’t want to see the money invested in new fixtures for your home or business go to waste because of a failure to address leaking pipes. (713) 468-3026. We can repair your leaking pipes and keep you from shelling out additional money for repairs caused by any related water damage.